This week in Omnivorous I checked out a few izakaya in the northwest burbs that have been quietly catering to the Japanese expat community for decades. Each one has a different personality, but one thing they have in common is natto. Do you want to make a Japanese friend? Tell him you eat natto. Every time I've ever mentioned the mucilaginous fermented soybeans to a Japanese native, I've been met with astonishment, giggles, and slaps on the back. That's because even the Japanese—who commonly mix it with rice and a raw egg for breakfast—recognize the stuff as a challenge. When you disturb it, its pasty, slimy surface extends into long, stringy, sticky threads. And it can smell and taste like a Roquefort right on the edge. 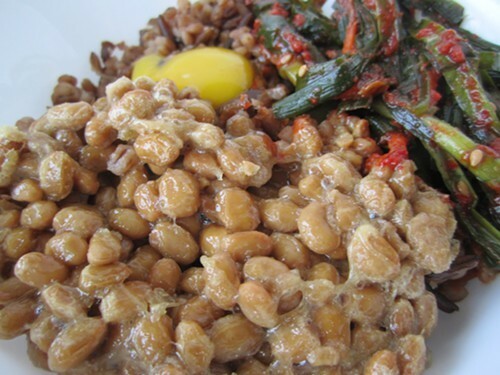 Natto, it's safe to say, is an acquired taste. So why does anyone eat it in the first place? It does have many supposed health benefits, among them a reputation for preventing blood clots, due to the enzyme nattokinase, first isolated, as the possibly apocryphal story goes, in the 80s by one Dr. Hiroyuki Sumi, then working at "Chicago University." I'm not sure where that is, but a spokesman at the University of Chicago says they have no record of him. Natto can be its most intimidating when you're standing before the brain-scrambling selection at Mitsuwa, and to a lesser extent HMart. Usually it's bundled in square three-ounce styrofoam containers, each including small packets of mustard and soy sauce. It comes in all grades and varieties, sometimes with additives like seaweed. Some producers sell low-impact, odorless, flavorless natto, but that's strictly for milksops. 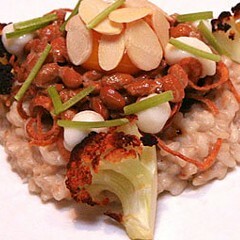 And if you're an aficionado and can resist the allure of black natto, you're made of stronger stuff than I. Unless you can read Japanese, or care to chat up your fellow shoppers, best of luck sorting these out. I usually just grab them at random and see where the chips fall. As you can see below, it's perfectly acceptable to mix up your natto with pretty much anything. I usually do brown rice, sesame oil, soy sauce, a raw quail egg, and—to cut the high viscosity—maybe some kimchi or one of the endless variety of pickled vegetables that have been showing up in Chinatown markets of late. As far as the izakaya go, Sankyu in Mount Prospect presents its house natto bowl with rice, tuna sashimi, seaweed, a raw egg, and green onions. 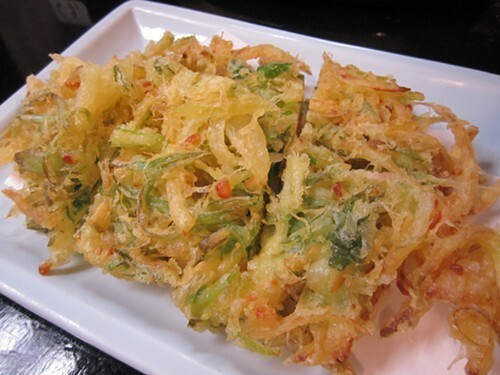 Nearby Kurumaya in Elk Grove Village fries a very snackable green-onion-and-natto tempura. And Toshio Kaneko at Tori Shin stuffs it in tofu pockets and deep-fries them. I wonder what Phillip Foss could do with it.